Although ski poles may not get as much attention as skis, bindings, boots, etc., they are still an important part of a ski kit. 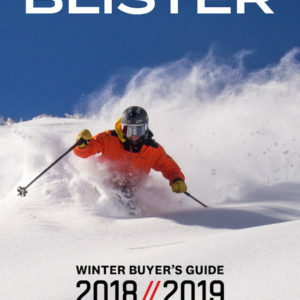 Last year, I was searching for a pole that was lightweight for touring, with easy adjustability, and that would be durable enough for use in the resort as well. At first glance, the Salomon MTN Carbon S3 pole seemed to be the complete package — it has a simple adjustment system with a lightweight — yet hopefully durable — carbon construction. Its innovative articulated baskets and automatic release straps further peaked my curiosity. I’ve now spent two long seasons across the Rocky Mountain West and Europe with the Salomon MTN Carbon S3, so how has it performed? 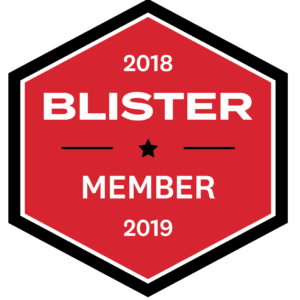 As a former nordic ski racer, adjustability is an important feature for me when considering a touring pole — I appreciate being able to customize the length between the skin track and the descent. The MTN Carbon S3 uses an external locking lever that is extremely quick and secure. 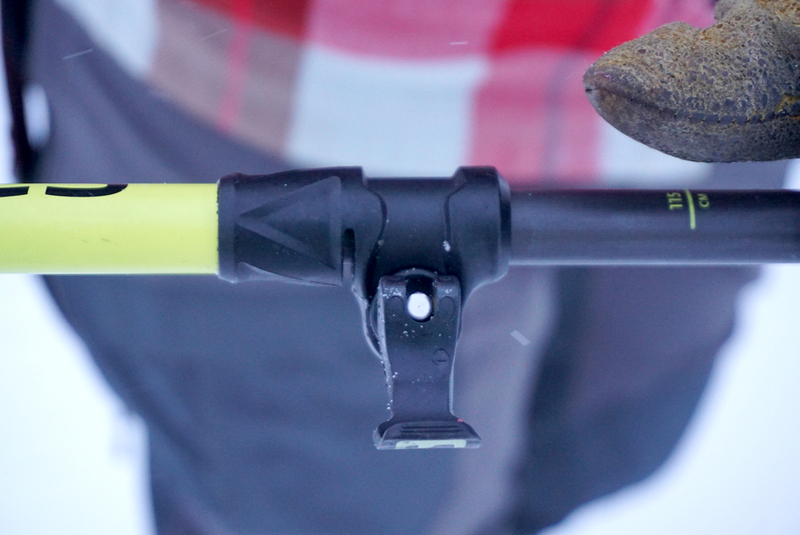 The pole can be adjusted easily on the go without tools — whether you need to shorten it to strap it to your pack during a rappel, or max out its length to skate back to the trailhead. In one motion, the locking lever easily flips open and the shaft moves freely. Even when I’m bundled up with bulky mittens on, the lever has enough of a protrusion that I can easily open and close it. At the same time, the lever is also small enough that I’ve never snagged it or had it open on its own. The lever locks the pole securely in place and I’ve never had it slip on me during a powerful poleplant, something I often experienced with my previous Black Diamond touring poles that used a twisting adjustment system. After two seasons with the MTN Carbon S3, I have yet to experience any excessive friction while moving the pole’s shaft. With the poles I’ve used that have a twisting adjustment, I often had to wrestle with the pole to change its length, only for it to get knocked out of position later on. Adjusting the MTN Carbon S3’s length is swift, efficient and reliable. At a measured weight of of 240 grams, the MTN Carbon S3 is not the lightest pole on the market, but its carbon construction was welcome while touring compared to heavier aluminum poles I’ve used. The MTN Carbon S3 feels well balanced, something I usually notice right away because of my nordic skiing background. Whenever I have to skate out from a tour, I set the poles to their longest length and could get great leverage from them. 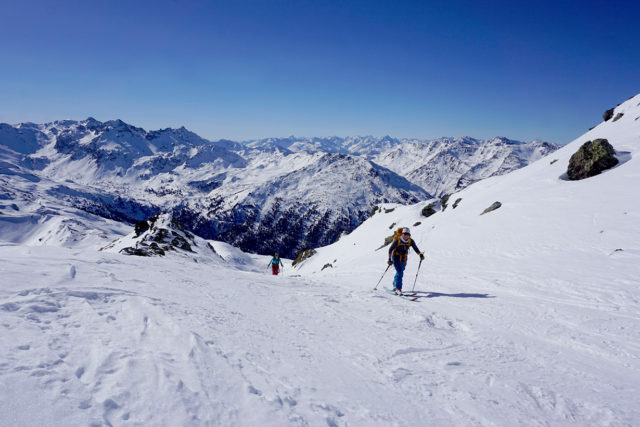 The pole’s tip is covered with a blended material of Carbide / Widia for improved durability, which I find beneficial for high alpine and rocky pursuits. The MTN Carbon S3’s rubber and foam grip is comfortable enough to ditch the gloves on warmer days and use throughout long days of touring. The pole’s extended grip doubles the length of a traditional pole grip so that I can easily drop my hands to the lower rubber section when the skin track becomes dramatically steeper. I find myself constantly dropping to this extended section of the grip for greater efficiency and to change the positioning of my hands and pole length throughout the day. 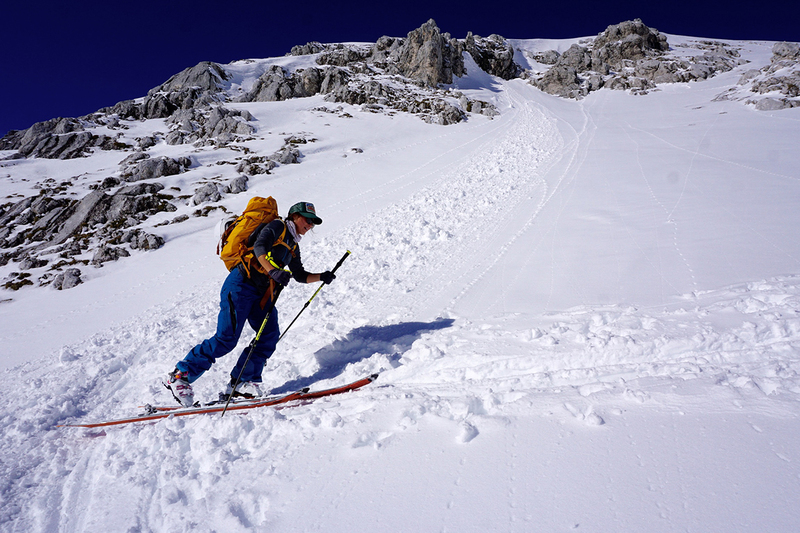 The MTN Carbon S3’s Safety Straps are designed to address a common backcountry problem: not wearing pole straps so that you can ditch them in the event of an avalanche. 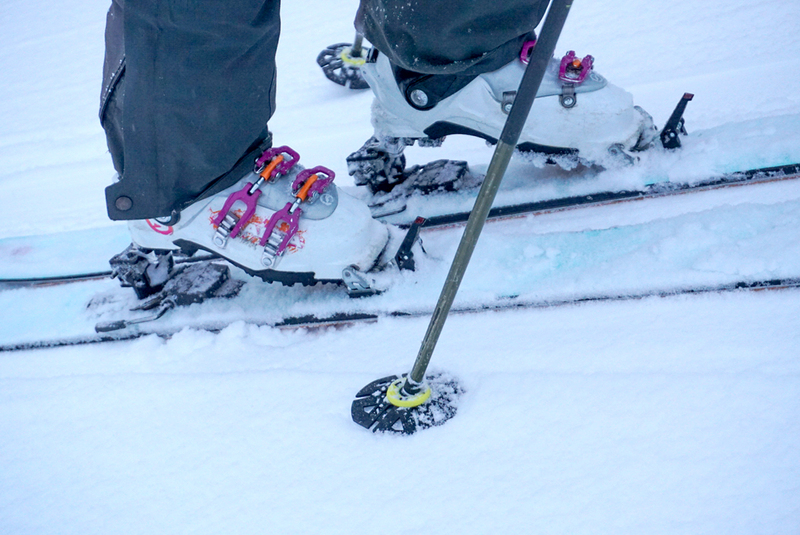 Salomon claims that the pole’s Safety Strap releases automatically in the event of a slide or forceful crash. 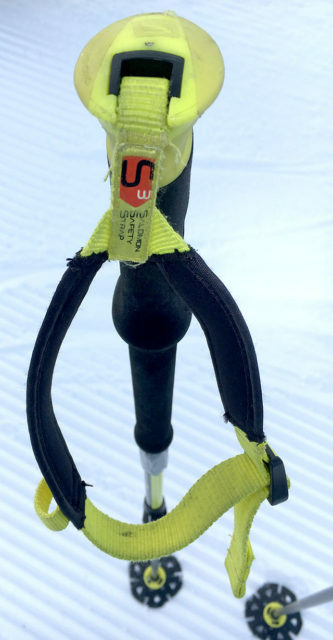 In theory, this feature allows skiers to have the security of pole straps in the backcountry while still having the ability to release them when necessary. 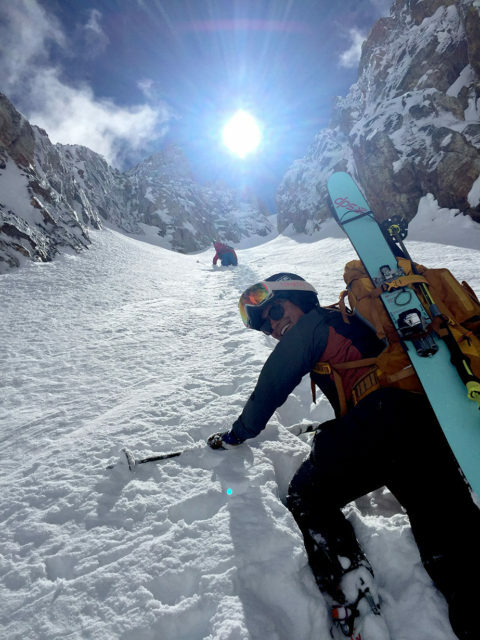 I am personally still weary of Salomon’s claim that the S3 safety strap will release if caught in an avalanche, and opt out of wearing the straps in avalanche terrain. For those who care about minimal weight, the Safety Straps can easily be removed. Since I also use the poles in the resort, I personally prefer having the option of pole straps and I don’t mind the tiny bit of extra weight. The one downside to the Safety Strap is that it can release at an undesirable time — I lost one of the pole straps while digging a snow pit, and have been strapless on one pole ever since. The other pole’s strap has stayed connected, but it’s unfortunate to only have one of the straps. One of the most innovative features of the MTN Carbon S3 is its articulated baskets. These rotating baskets move to match the slope they land on. However, when I first started using the poles, the floppy feeling baskets drove me nuts because I could no longer use the baskets to quickly lift or drop my heel risers. Luckily, after a few weeks with the poles it felt just as natural to flip my pole upside down and adjust my heel risers with the grip notch instead of the baskets. I’ve really appreciated the articulated baskets during any side hilling or steep skinning; they reduce slippage and increase security on steep slopes. When the snowpack is firm, whether on a spring tour across a frozen side slope or ascending a steep groomed run at a resort, I found the articulated baskets very beneficial. After approximately 90 days using the Salomon MTN Carbon S3 in both the backcountry and at the resort, I’ve been pleased with the pole’s durability, especially considering its weight-saving construction. I have changed the poles’ length hundreds of times without any problems. The poles have been tossed into cars full of ski gear, strapped onto my pack to boot up terrain, and I have put plenty of stress on them to get both up and down in the mountains. Aside from the lost pole strap, there has been no need to replace or repair anything on the MTN Carbon S3. Compared to other carbon poles on the market, such as the Armada Carbon T.L. 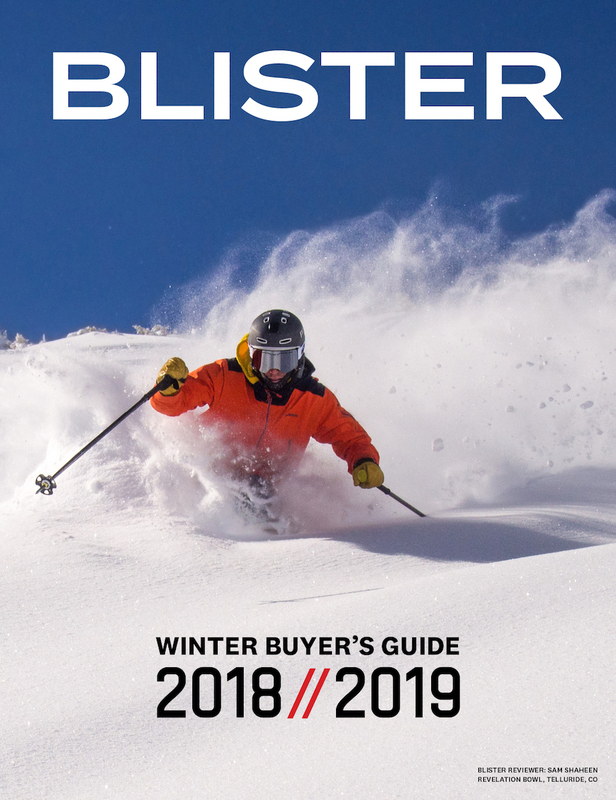 Adjustable ($159), G3 Via Carbon Adjustable ($125), Leki RCM 1.0 Vario ($249) or the Black Diamond Razor Carbon Pro ($139), the MTN Carbon S3 is priced right around the middle at $150. While $150 is still a lot to spend on a pole, its special articulated baskets, automatic-release straps, and reliable and efficient adjustability help to justify the price. 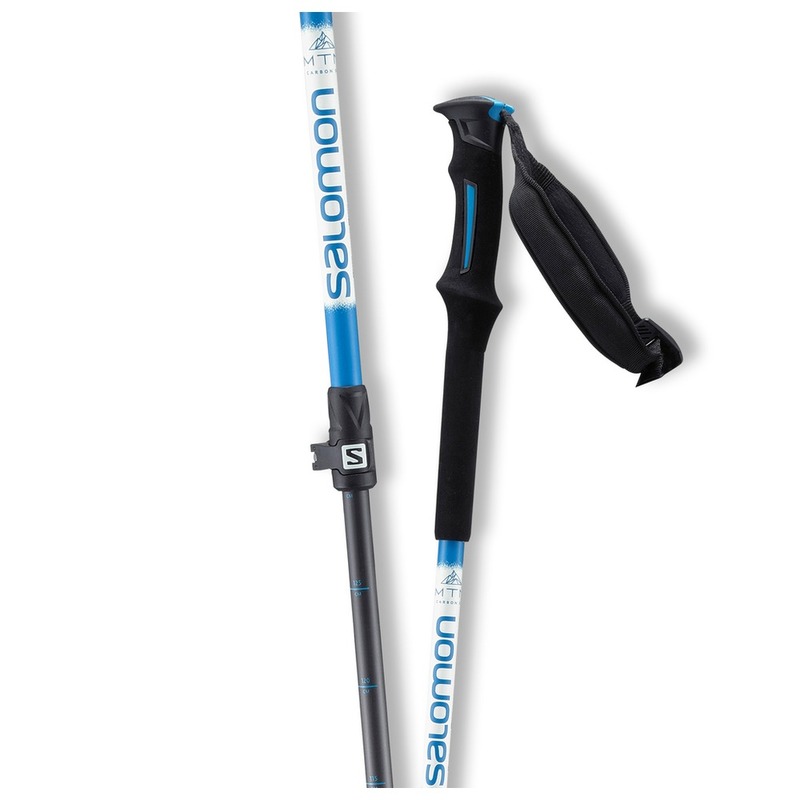 After two seasons of hard use, I’ve come away impressed by the Salomon MTN Carbon S3 poles. 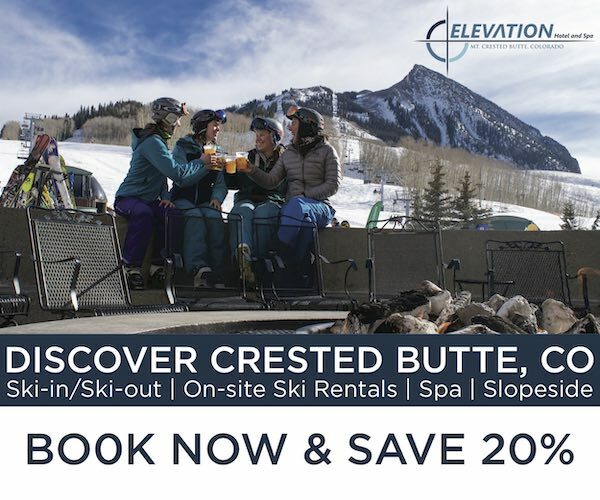 Most notably, the innovative articulated baskets help to inspire confidence in exposed and hardpack terrain, while the adjustment system offers skiers the ability to adjust the poles to their desired length on the fly. The extended grips offer the ease and comfort to easily change your hand positioning in fluctuating terrain. And, the poles come in at a respectably low weight and have still proven durable during my time with them. In summary, the MTN Carbon S3 poles have proven to be durable, reliable, and useful, making them a great option for anyone looking for a lightweight adjustable pole. The clamp of my Komperdell carbon C2 ULTRALIGHT pole delaminated (unglued) on the top of Mont Blanc, Chamonix and I had to ski down in difficult conditions with only one pole. It was not pretty. I had it reglued on warranty. But the next day I got myself the yellow aluminum poles from Black Crows which are surprisingly light. For bigger adventure further away from home I’m always using these since then. My adustable carbon poles in only use for small tours “around the house”. I had similar issues with the baskets of my komoerdell carbon poles coming un glued after about a dozen days. 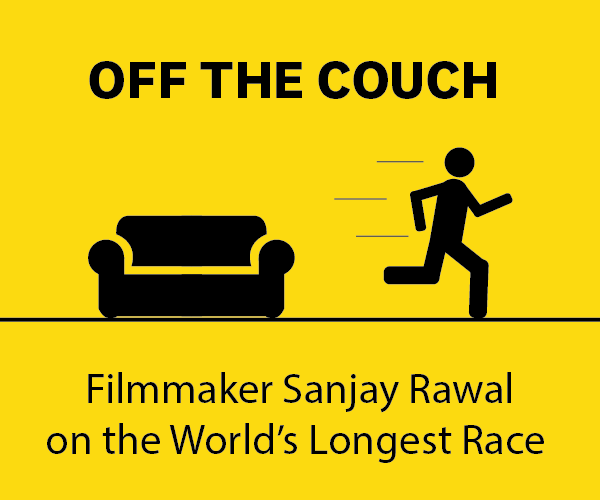 Warranted ones even faster. They must have a glue problem. Is this correct? Actual weight is 2.4X stated weight? Yes, our measured weight is way heavier than the stated weight. As far as we know, there are no poles on the market that are 100 grams. 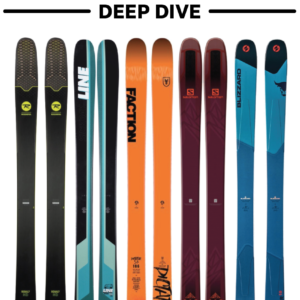 The lightest pole we know of is the Black Diamond Helio Fixed Length Carbon, which has a stated weight of 128 grams. So, we’re not sure why Salomon’s stated weight is so far off, but it’s just another example of why we try and provide measured weights whenever possible.